Officers of the Tennessee Wildlife Resources Agency from counties surrounding middle TN will be in attendance with Nashville FlyBoard for a special event Thursday, July 20th, which will include free Flyboarding with Nashville FlyBoard for any TWRA officer interested in gaining helpful insight into the popular recreational activity of Flyboarding, a.k.a. Hydroflight sports. All TWRA officials are invited to experience the FlyBoard®, and to learn about Flyboard® safety. The goal of this event is to educate TWRA officers about how the Flyboard® works, safety precautions, and to allow them to experience the Flyboard®. Our message is simple, that when operated responsibly, the Flyboard® is no more dangerous than a jet ski, or any other water sport. The event will begin at 12pm, and will be led by owner and Master Instructor at Nashville FlyBoard, Melissa Moore. This is a great opportunity to show our appreciation to the TWRA for protecting our local lakes, while educating them about Flyboarding, a popular activity on Middle Tennessee lakes. 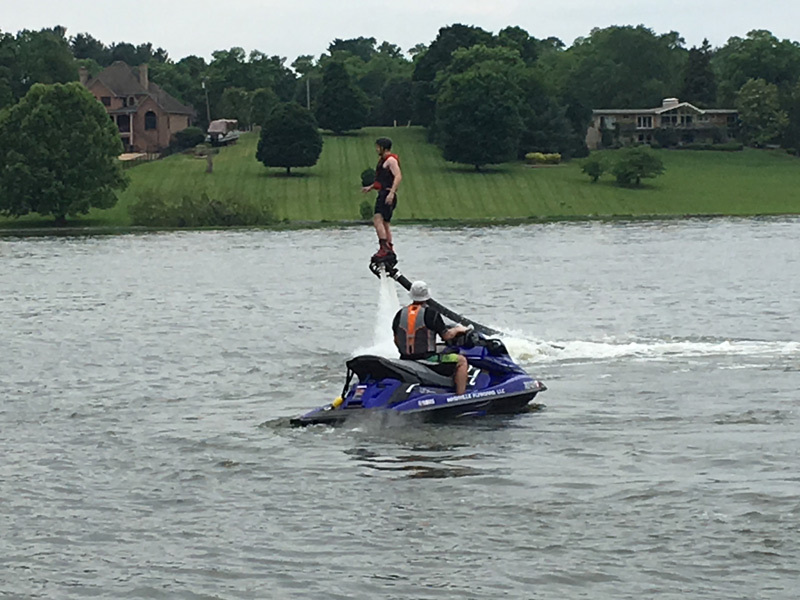 This event is also intended to help keep people safe after an accident that occurred on Percy Priest Lake by an untrained Hydroflight / Flyboard® operator. The accident was reported on a prominent News Channel to be caused as a result of the “dangerous” water jetpack. Melissa Moore, of Nashville FlyBoard, informed the news reporter that the information given about the water jetpack was remarkably inaccurate. The story was removed, but not before damaging statements were made about Flyboarding, which were seen and heard by the masses, adding to the social stigma that Flyboarding is dangerous, and to the struggle that many in the Hydroflight industry have fought to overcome. The fear factor that derives from such a new and extraordinary recreational activity as Flyboarding is predominantly caused by lack of knowledge, information, and a few “bad apples”. 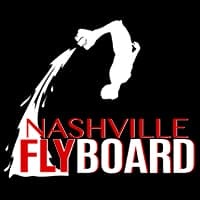 But now, Nashville FlyBoard hopes to set the record straight! Our Certified Instructors will take TWRA officers Flyboarding, and educate them about the equipment used, training requirements, and safety measurements that are taken while Flyboarding. We also seek to help officers foresee dangers from independent Flyboard® operators, and hopefully provide them with some helpful information that could further prevent injuries like the one in the past. We hope you’ll join us to learn more about Flyboarding and Hydroflight sports, and to experience the fun of Flyboarding at no charge to any officer dedicated to the safety of our regional lakes. Please RSVP by text or email for Flyboarding so we can get an approximate count, or just stop in to join the fun and we’ll do our best to get you in with the time you have available – we know you’re all very busy this time of year! Cap’n Dave’s will also be participating by offering Jet Ski rentals for ½ off, and providing refreshments. We hope to see all available TWRA officers at Nashville FlyBoard! When: Thursday July 20th at 12pm – ? Where: Nashville FlyBoard. Located inside Nashville Shores Water Park at Cap’n Dave’s Water Sports, 4001 Bell Rd, Hermitage, TN 37076.